What happens in the shadow of departing from one of the industry’s biggest record labels after a slew of big hits? In the case of Kevin McHugh, you go on to start two highly credible record labels and a small handful of equally impressive aliases. As Dustin can attest, pulling off something like this is no walk in the park. Together, they have an in-depth conversation about living up to these past hits, being type-casted, and life after Minus. The jokes may be less prevalent on this episode, but the chat is a rare look into mindsets of a couple guys whose diverse musical tastes fuel the desire to be more than just a ‘techno DJ’. As the kids say, #realtalk. They still say that, right? 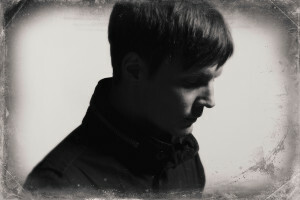 In addition to recently starting “Valence” with a focus on peak-time techno, Ambivalent went on to release records for “Cocoon,” “Sasha’s LNOE” and “Sian’s Octopus Recordings”. He also moonlights in house territory with his Amber project on “Mobilee”. On the “selector” side of the fence, he started the highly credible record label called “Delft,” which features the likes of Matrixxman and his own new acid-tinged LA-4A material.